Africa Health Placements and South African agency Boomtown collaborated on a neat multimedia idea to encourage foreign doctors to work in Africa, where medical professionals are kind of desperately needed. 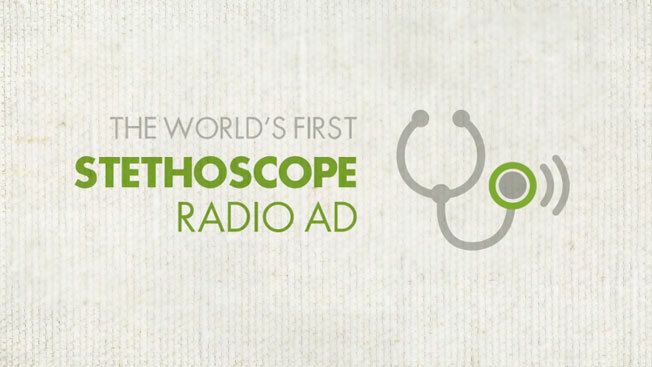 The ad is a mailer rigged with a pressure-activated thingie (in technical jargon, a "doohickey") that plays an MP3 advertisement when a stethoscope is held against it. Any effort to get more doctors over to Africa is a challenge that'll take more than good marketing to overcome. But this is a clever idea, and I hope it makes a difference. Via PSFK.